The first CD by the father and daughter from Siberia created the biggest stir in the history of Leo Records. 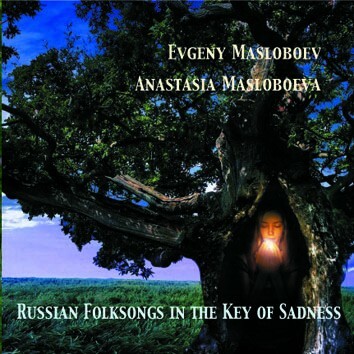 Entitled "Russian Folksongs in the Key of Rhythm", it received an avalanche of outstanding reviews in many countries. The genre Evgeny and Anastasia created is difficult to define. One might call it "ethno-jazz." The concept of the second album is to combine the ethnic and neo-gothic kinds of music with jazz and subtle forms of avant-guarde. As on the first CD, Evgeny plays a huge array of instruments including kitchen utensils, pots and industrial garbage.